In fact many today might not know that Royal Mail’s predecessor provided more than letter delivery and was one of the key agents of British modernisation in the first half of the twentieth century. As the recently published The Projection of Britain: A History of the GPO Film Unit (BFI Palgrave Macmillan, 2011) reveals, the GPO offered home telephone rentals, savings accounts, and a series of promotional activities that encouraged Britons to take advantage of modern forms of communication and transportation. 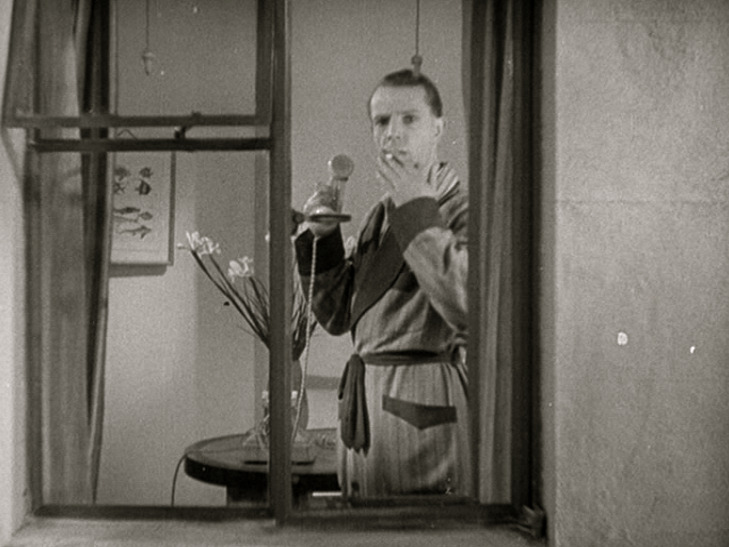 But many of its contemporary customers needed to be told how to adapt to these changes, and the film The Fairy of the Phone (1936) takes us back to a time when direct-dial telephone service was a relatively new addition to home technology. 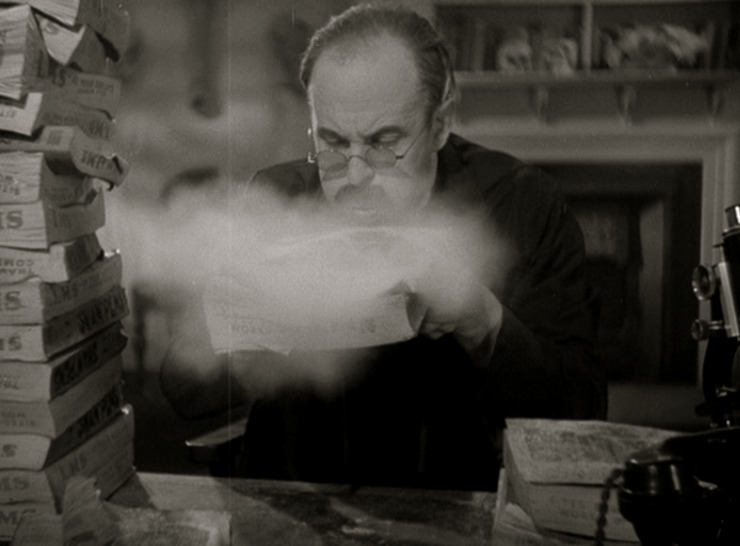 The Fairy of the Phone (1936) features an ethereal operator who instructs the film audience on telephone etiquette. In her crisp and, at times, condescending delivery she tells a series of telephone users how to find a phone number, dial the exchange, speak ‘clearly and directly’, and answer correctly. ‘Hello’, she claims, is an incomplete answer to a ringing phone; instead, the ‘distant subscriber’ must reveal his other identity: that of his telephone exchange and number. The film insists that this method of coding customers ensures efficiency for both caller and distant subscriber who are now able to call each other directly, and the fairy of the phone encourages the use of the ‘most up-to-date directory’ that links names and numbers. Throughout, the film uses comedy, trick camera techniques, and musical numbers that feature the women of the London Telephone Service to keep the audience informed and entertained. The film not only tells people how to use the telephone, it also tells people how to behave amid the changes brought about by modernisation. These changes, as the film acknowledges, involve the invasion of private spaces by disembodied voices that demand attention. 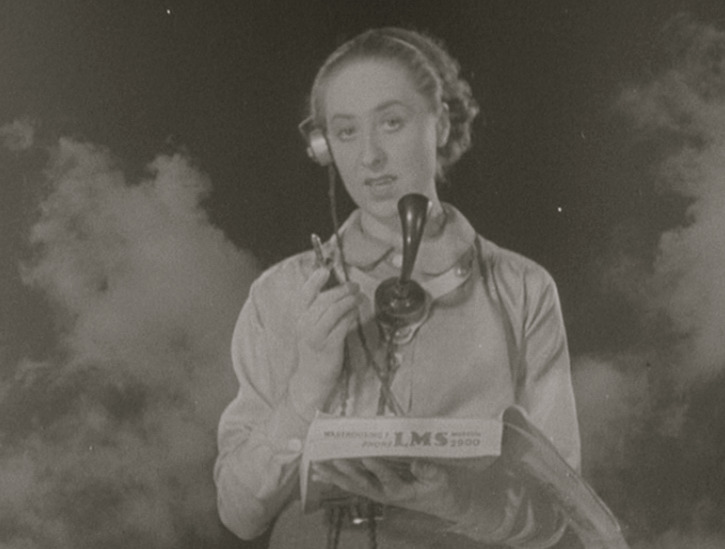 Through its staged interactions between telephone callers, The Fairy of the Phone prepares the public for the transformation of ‘telephone kiosks into television boxes’ that more recent developments such as Skype have made commonplace and that The Post Office Magazine predicted back in 1934. Anon., ‘1934-2034’, The Post Office Magazine, November 1934 reprinted in The Projection of Britain: The GPO Film Unit Reader, ed. by Scott Anthony and James Mansell (Basingstoke: BFI Palgrave Macmillan, 2011), p. 302. Roy Mayall, ‘Postcript’ in ed. by Anthony and Mansell, p. 303. All images from The Fairy of the Phone (dir. William Coldstream, 1936).